Today the Sheffield City Region Local Enterprise Partnership has announced their preferred list of major transport schemes. 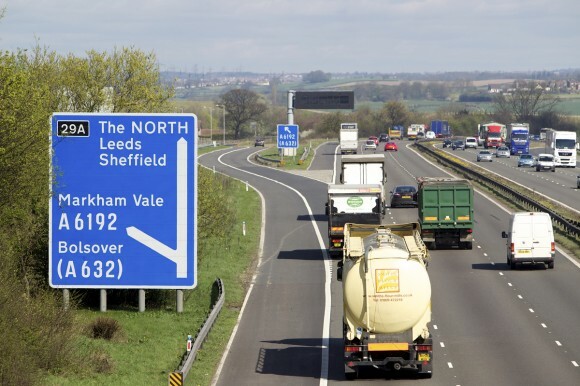 This has come about because the Sheffield City Region has secured devolved powers to develop and fund major transport schemes in the area from the Department for Transport. We (the Local Transport Body) now gets to choose the major transport schemes in it’s area with far less control from the Department for Transport. The Local Transport Body (LTB) is the body responsible for making and overseeing key infrastructure investment decisions in the Sheffield City Region. The Local Transport Body gives a worrying vision for transport by showing an image of an M1 junction at the very top of their webpage. I hope they can see past the big trunk road schemes and put large investment into local and sustainable transport (rather than just focusing on the needs of hauliers, distributors and big business). The schemes put forward today as priorities are a mixed bag for the people of Sheffield and improving transport. Of the 19 schemes given priority, 4 are within the Sheffield Local Authority area. Infrastructure works to support delivery of New Retail Quarter, Central Business District, Riverside Business District and university development. Investment includes bringing forward a number of key city centre sites, refurbishment, development and consolidation of university campus buildings, train station access improvements, walking and cycling enhancements, public realm, housing, Hillsborough – Penistone Rd key bus route. If done well, this could be a good scheme. The recent draft Sheffield City Centre Masterplan was lacking on encouraging cycling and instead focused on pedestrianisation of the City Centre (with the exclusion of cyclists), we’ll see how this evolves. Onto Penistone Road, National Cycle Network Route 627 runs along this road and provides a safe (even if it could do with improving) alternative to the less busy but dangerous (because of tram tracks) Langsett Road. 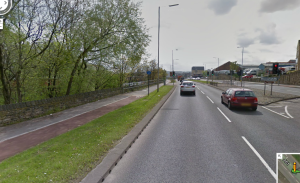 Sheffield City Council have been awarded £3million from the DfT Pinch Points fund to develop the Penistone Road highway but have so far been uncooperative in releasing information about exactly what this scheme involves. Just like before, we’ll have to wait and see how this pans out. Infrastructure and facilities to open up for inward investment Claywheels Lane Industrial Estate and Parkwood Springs Business Park. Includes a series of junction improvements and site access roads. This scheme worries me. 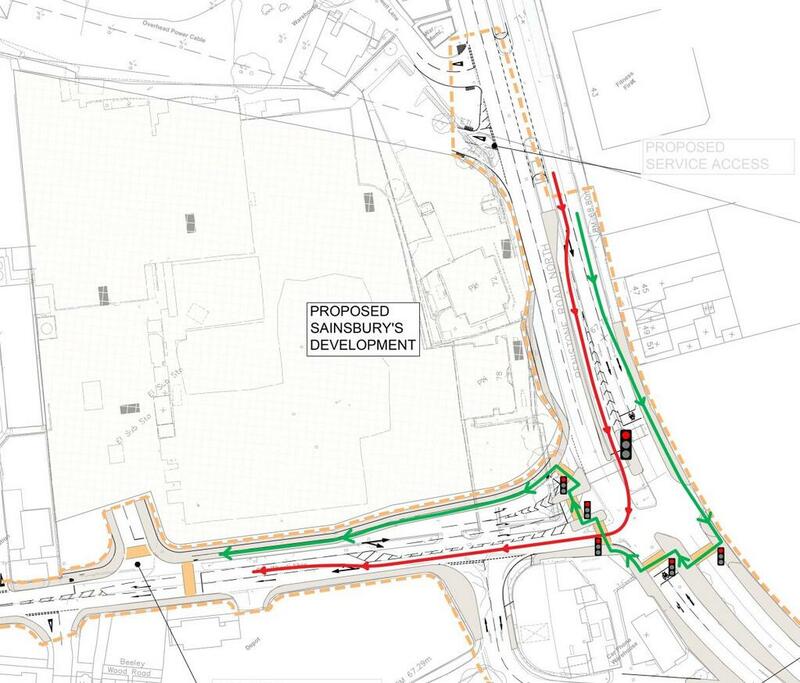 Sheffield City Council have already shown that they have no appetite for considering walking and cycling in this area viable by approving schemes like the Clay Wheels Lane widening and junction redevelopment designed and funded by Sainsburys. Clay Wheels Lane is part of the Sheffield National Cycle Network route 627 however there are plans to develop a business/industrial park along this road. The plans for cycling on Clay Wheels Lane so far have been abysmal, I don’t hold out much hope but would be very happy to be proved wrong. This scheme links into #3 above, both Claywheels Lane and Parkwood Springs are off of Penistone Road. Highway, community and green infrastructures and utility services to accelerate the delivery of a mixed use site. 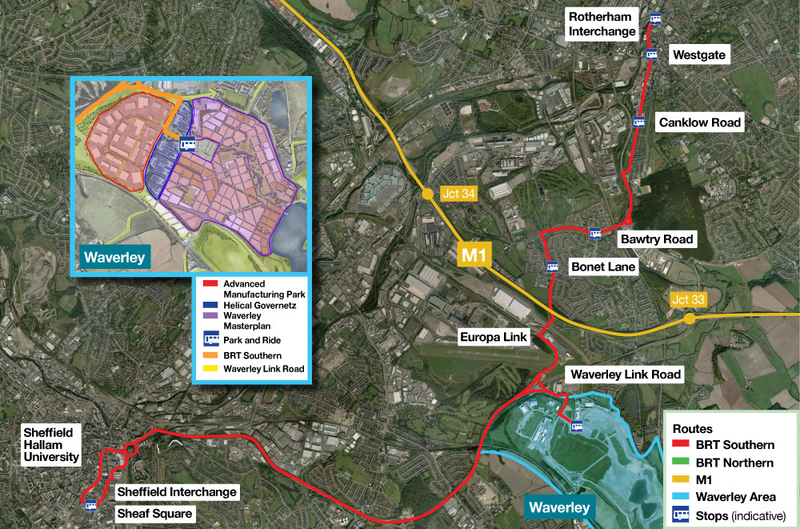 Highway investment includes Waverley Link Road, Widening of the A630 to dual 3-lane between the M1 Junction 33 and the Catcliffe Interchange, Bridge maintenance scheme at critical location on A630 Sheffield Parkway. This seems like a typical road congestion alleviation scheme – I know very little about this area of Sheffield. Enabling works / infrastructure for two 20Ha sites. 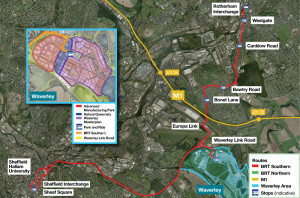 Development of over 1000 homes and retail and commercial centre, Bus Rapid Transport South. This is an interesting sounding scheme that I know very little about. 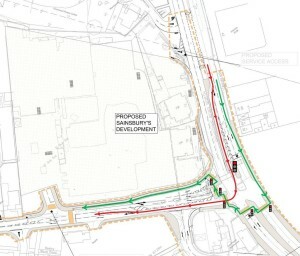 I believe it involves the widening and introduction of a bus lane along The Parkway in Sheffield – a road where cycling and walking is not permitted. More information is here. This entry was posted in Uncategorized on July 19, 2013 by Matt.